A world premiere at Frankfurt’s International Auto Show in 2015: Citroën presents a concept car inspired by the Méhari! 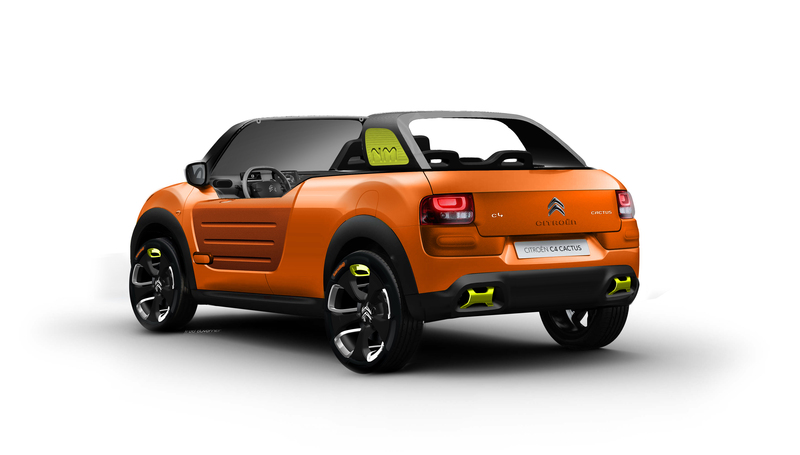 The Citroën Cactus M reinterprets the Citroën C4 Cactus with an “outdoorsy” spirit: a fresh, optimistic variation that continues to illustrate Citroën’s vitality. Comfort, well-being, recreation: These values have always driven the Citroën brand. As they led to the creation of the original Méhari, why not put them to use for today’s tastes? 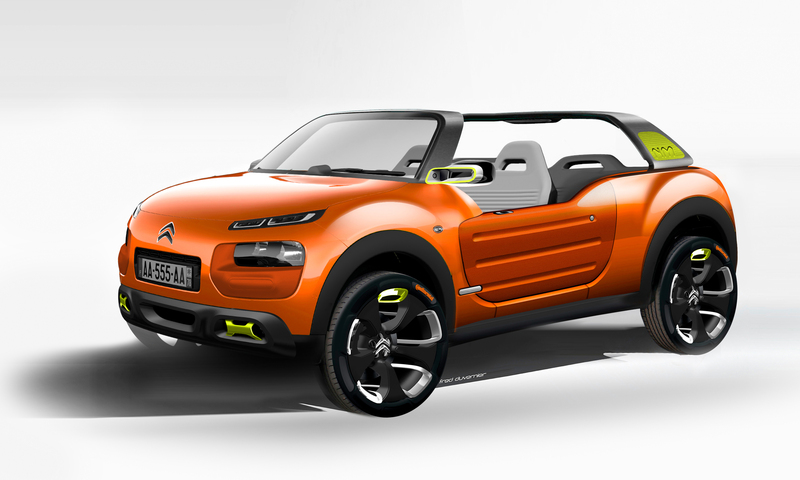 This challenge was accepted with the Citroën Cactus M concept! A contemporary reinterpretation of the star of May ’68, and derived from the production-line Citroën C4 Cactus, it illustrates Citroën’s vitality and consistency: expression for an art of living that focuses on recreation as the heart of the automobile experience. The Citroën Cactus M concept is at home on all terrain. Above and beyond its design, comfort and the useful technologies borrowed from the Citroën C4 Cactus, it is pleasant for daily driving, and a symbol of independence, escape and well-being. Mehari comes back in 2016 as E-MEHARI. As iconic as always and more innovative, eco-friendly and more fashionable than ever. The free, open and colourful feel of the C3 Pluriel is now found in the E-MEHARI, with the bonus of Full Electric technology. The E-MEHARI brings back the mythical 1968 Méhari with a modern touch. "Following the reveal of New C5 Aircross, a C segment SUV, at the 2017 Shanghai Motor Show, the Citroën SUV offensive accelerates into 2017 on an international scale. Citroën unveiled New Citroën C3 Aircross Compact SUV at the Geneva Motor Show 2017. Inspired by the C-Aircross concept, it stands out in a segment of compact SUVs due to its unrivalled space, advanced levels of comfort and customisable SUV character.